In my last post on TAOofDentistry.com I explained that I recently retired from clinical dentistry after 46 years. I was lucky enough to sell my practice to a very competent dentist and a genuinely nice guy. But…we were different. One day, during the transition while we were both taking a coffee break he said something that caught me off guard. He asked me how I was able to remain so calm with all of the things that go on in a dental practice. Apparently he was having some issues with…staff, equipment, treatment planning, handling new patients, the schedule…well, feel free to add to the list. I gave him a quick answer, but it was incomplete. Later that night I reflected on my career and felt I owed him a better answer. The calmness that he referred to didn’t come naturally to me. Serene was not how I would have described my early career. As a matter of fact it was pure chaos. In my books I describe the stress I had through my first fifteen years of practice. I hated dentistry and wanted to get out. I was depressed and I believe that cortisol production was a factor in my developing type 2 diabetes. But I wasn’t going to quit. That is just not who I was. So I searched for the answers. I became a continuing education junkie. I took every course, some good, some great and many, worthless. There was no one teacher or mentor that totally fit who I was…I had to find more common denominators. I needed to find a strategy that would work under any circumstances, and boy would the conditions change through the years. I was committed so I supplemented the courses with reading. I read everything I could find. I read business books, psychology books, dental books and philosophy books. Books on depression, books on burnout, books on finance and leadership. The best books I read dealt with emotional health and emotional resilience and general well-being. Things began to get less chaotic and more organized. Calmer – but nowhere near the calmness that I continued to develop. Dentally, with the help of some really good mentors I became aware of “structure” in dentistry. I’ll say that again…everything has a structure. Everything. There is order to everything. So I became obsessed with the examination and case presentation. I looked for the structure in everything. I realized that everything has a process – yes- I actually used the term “trust the process,” way before sports teams started using it. I began to realize that if I focused on every process rather on the outcomes (over which I generally had no control-which is a main tenet of Stoicism), I was happier. One day while reading a book on happiness I came across something that interested me. Albert Ellis the founder of CBT, cognitive behaviorl therapy had used ancient wisdom to develop his therapy. CBT was very helpful in helping me eliminate my burnout and get back to functioning. At the time I also was studying at Pankey and knew the L.D. Pankey used Aristotle as the basis for his philosophy. In time I read the Stoics. Over time I had an epiphany. 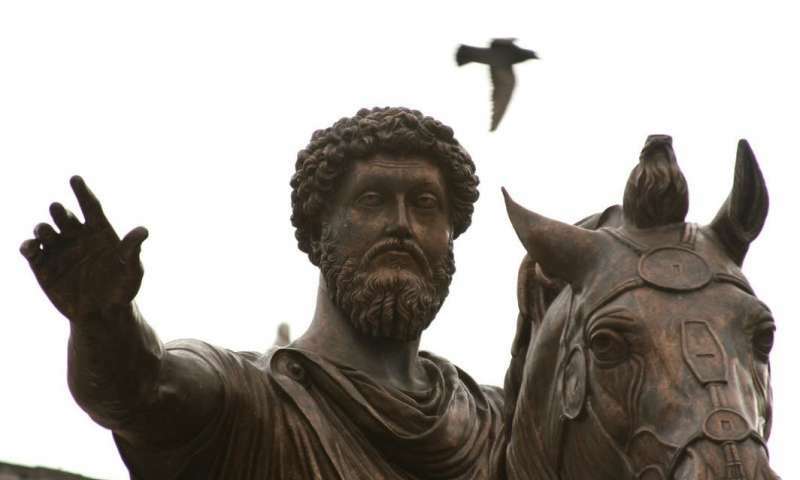 I realized that all of the material I had been reading had been discussed by the Stoics…mostly by the big three: Marcus Aurelius, Epictetus and Seneca. Today, studying and applying stoicism has become a trend. Many of the young entrepreneurs in Silicon Valley are defaulting to Stoicism as their go-to for wisdom—personal and business. It seems that when I have an issue the stoics seemed to have the answers. That is why I created this blog. To help young dentists (no age requirement) find the answers to their everyday issues in practice and in life. I will attempt to blog every week. The blog will use the ancient wisdom of the Stoics in a modern world. If you have any specific issues that you are having issues with, please comment below or message me and I will see if there is a stoic answer. Many people are under the impression that stoicism was a grim philosophy, that the stoics lacked emotion. That is far from true. They were the most content of all the ancient philosophers because they answered the most basic questions about how to live. Those questions need to be answered more today than ever before.